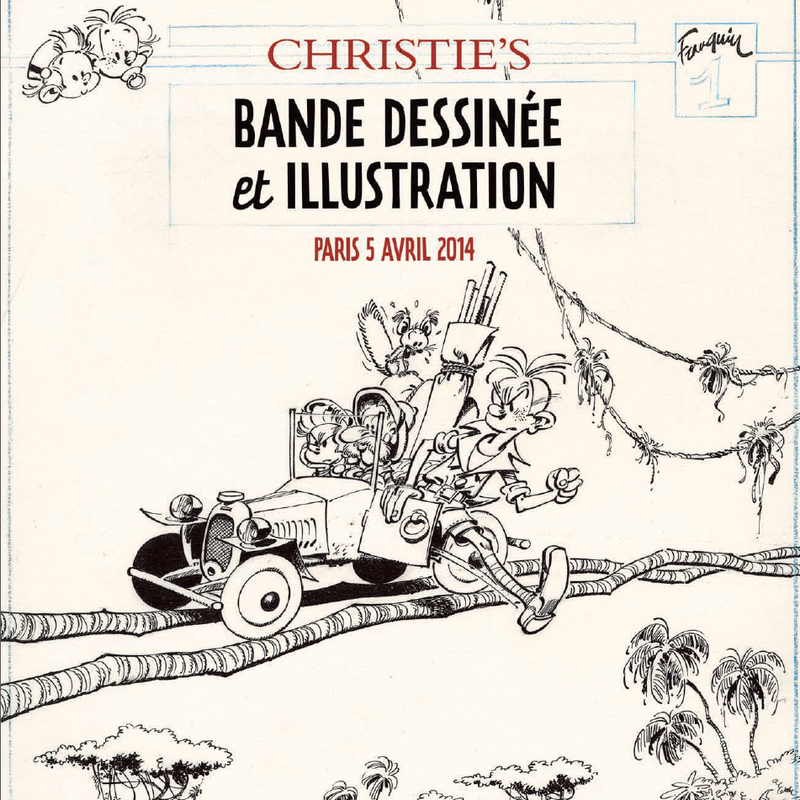 If you’re the type of person who likes to collect original art, then the Christie’s Art Auction on Saturday, April 5 is for you. starting prices range around the 1200 to 2000 euro mark and climb from there. But what price can you put on art? 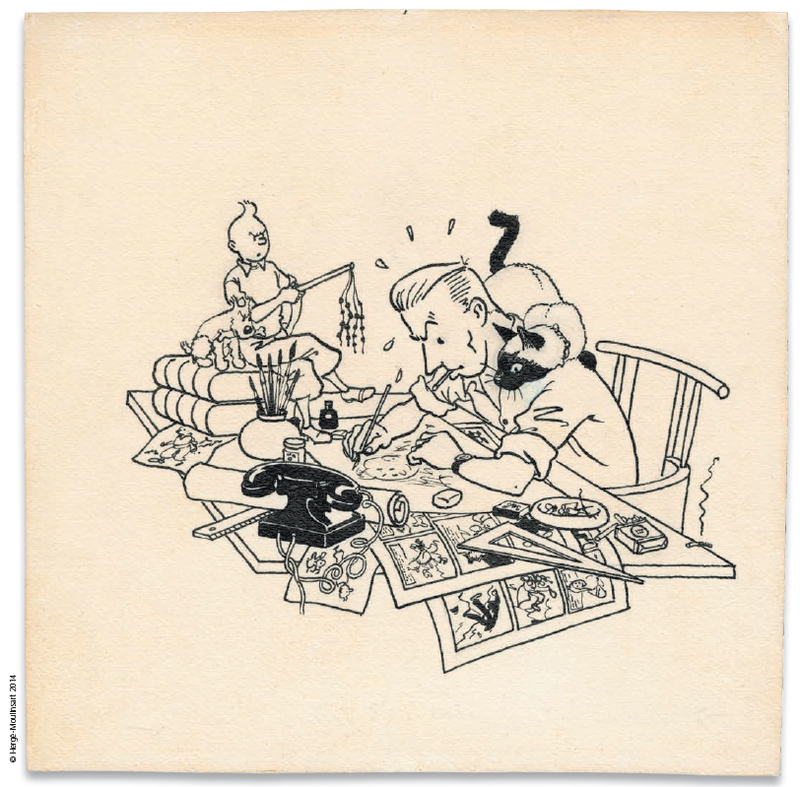 Deep within the depths of the catalogue, I found this great self-portrait of Hergé working to a deadline, overseen by a vigilant Tintin. I’m sure that most artists often feel the same way about their own deadlines. According to the catalogue, it could be yours for between 75,000 and 80,000 euros.